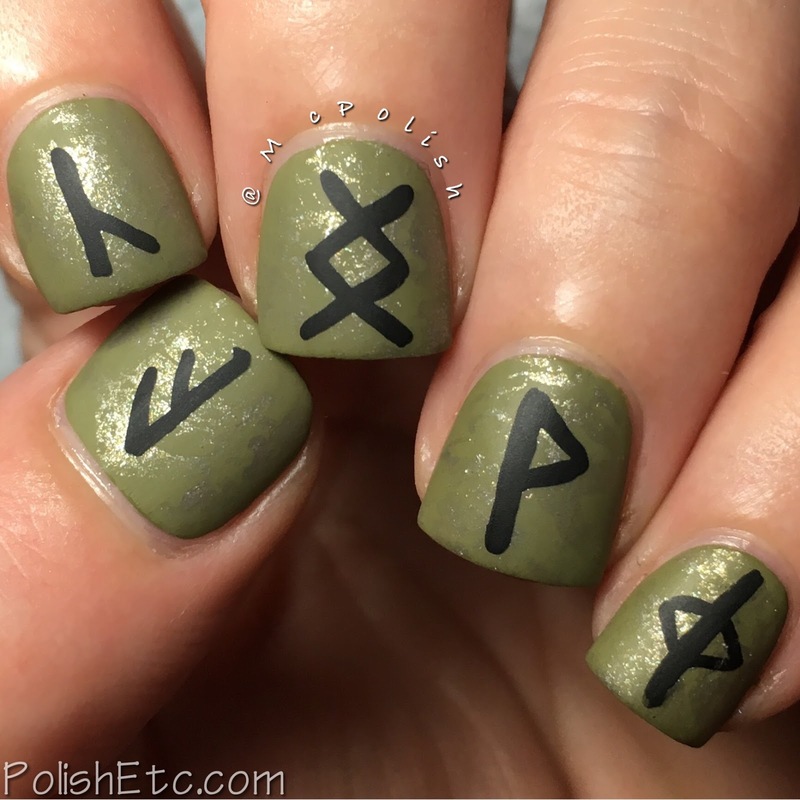 Inspired by the Supernatural for the #31DC2017Weekly - Polish Etc. I am so sorry I got behind on the challenge this year. I thought I would be good and finish up the last few challenge prompts before I left for Europe. But I didn't. I might be able to sneak in the last few when I am visiting Lotte next week though! 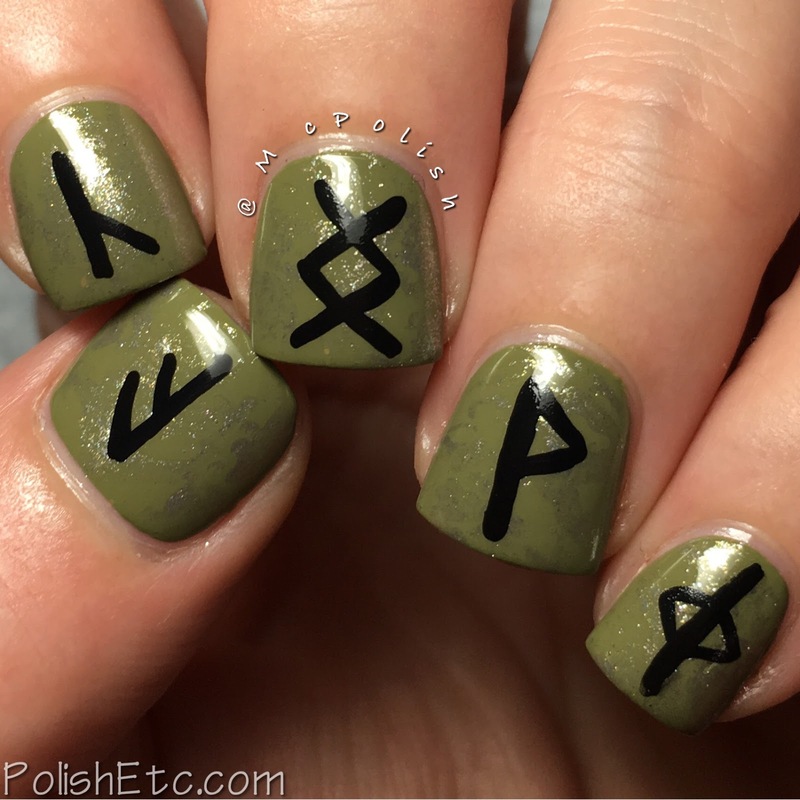 Here is my look for the Supernatural prompt. 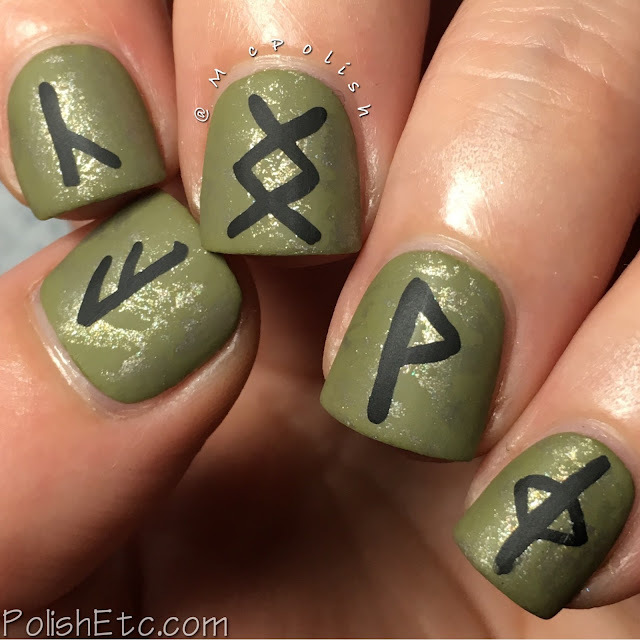 I took my inspiration from Celtic Druid runes. There is all sorts of mystical and magical stories and lore surrounding the Druids. They are referenced throughout literature and have made their way into our gaming culture, too. One of my favorite book series is The Iron Druid Chronicles but Kevin Hearne and my favorite class to play in World of Warcraft is a Druid. I started with a base of Zoya's Arbor. It is a muted green cream that has nice brown undertones. Then I used plastic wrap to lightly dab on Zoya's Jules which gives the mani more metallic undertones. I used black acrylic paint to hand drawn the druid rune symbols. Then topped it off with both a glossy and a matte top coat. I like them both ways, but the matte photographs best. I think the symbols are as follows (from thumb to pinky): Leader, Wisdom, Balance, Joy, Change. Which do you like best? Glossy or matte? The challenge is ending this Sunday! I hope you all were better at keeping up than I was. If anything, my last two manicure will have to wait until I get back home. 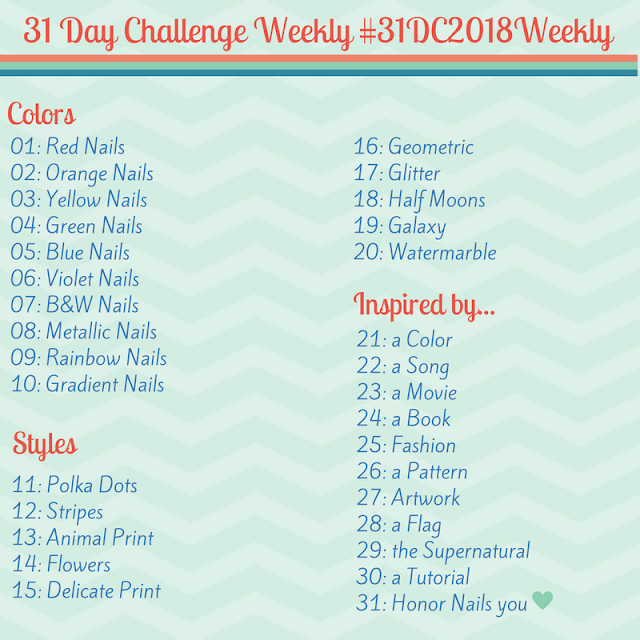 Be sure to check out all of the other people participating in the challenge by going to the tag #31DC2017Weekly tag on Instagram, Facebook and Twitter.